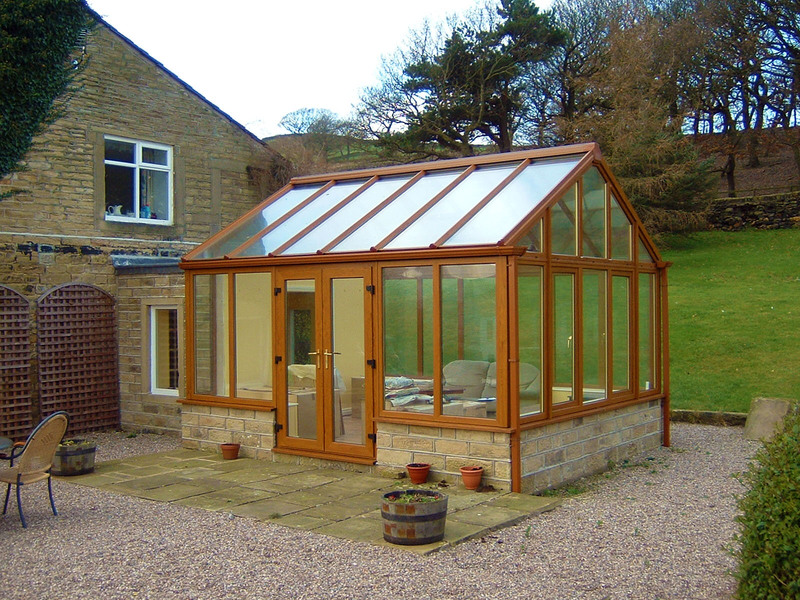 Conservatories are no longer rooms that are too hot in the summer and too cold in the winter. Gardinia design conservatories for all year round use by introducing the latest technology in uPVC and glazing, our conservatories can become an oasis of tranquility with space and light. Gardinia recognise that a uPVC conservatory needs to blend with your home both aesthetically and functionally, with this in mind you can specify the design for a space that meets your exact needs. Our consultant listens to what you want to achieve and offers a pratical solution which deliver just that. 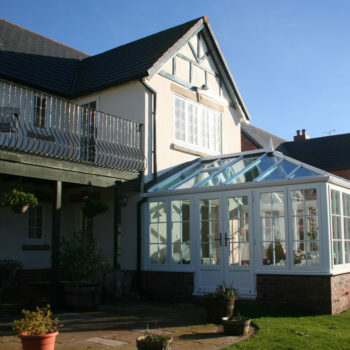 Our conservatories are designed to enhance and extend your home and lifestyle. A Bespoke Conservatory is an ideal choice if you’d like a conservatory that makes an individual statement. 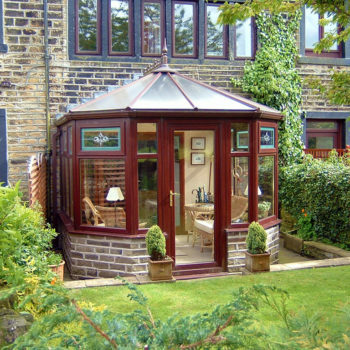 Gardinia can design and build our conservatories to any specific shape or size. All that is required is a visit to your home and we’ll be able to provide a written quote, complete with C.A.D. drawings. Whether you’re looking for a particular size and shape, a certain look, a bespoke conservatory is tailor-made to your specific needs. 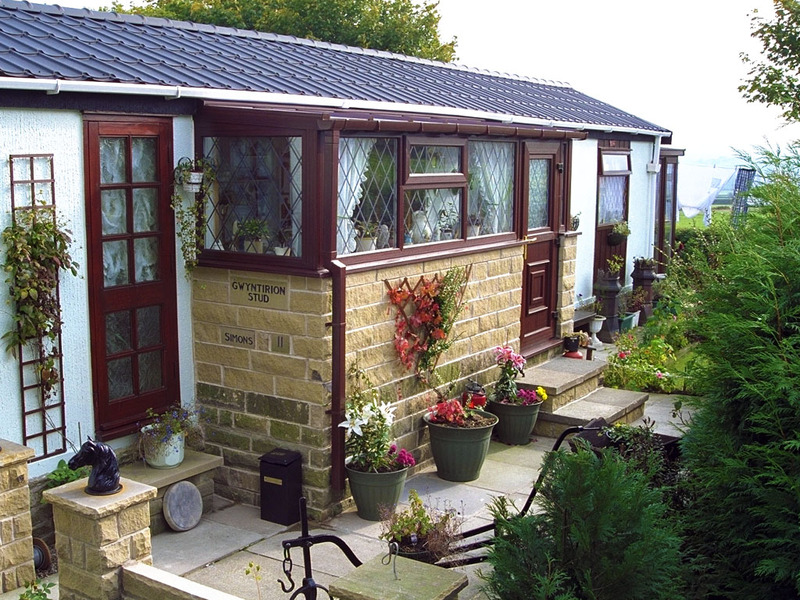 Edwardian Conservatory – Edwardian Conservatories are completely adaptable to suit all house styles and bungalows. Many people love the Edwardian style due to its likeness with a typical room in your home. The square fronted corners of Edwardian Conservatories give the optimum interior floor space allowing more room for your furniture. P Shaped Conservatory – P Shaped Conservatories allow for one section to be used as a practical working space, and the other as a relaxing or breakfasting area. Should you wish to it can be used as one large space. The P Shaped Conservatories soft corners provides the ability to do this by letting the eye glide seamlessly from one end to another. Gable Fronted Conservatory – Gable Fronted Conservatories create a stunning visual impact both internally and externally. Many people like the high pitch of the roof, this offers a real sense of height and internal living space. The Gable Fronted Conservatory is a slightly different take on the Edwardian Conservatory, however still makes the most of the available space due to it’s straight lines. Mediterranean Conservatory – The clean lines and timeless appearance of Mediterranean Conservatories makes them a very popular choice, whether you prefer a low dwarf wall or glass installed from floor to ceiling the lean to design is ideal for blending home and garden and offers a traditional structure for years of enjoyment. Victorian Conservatory – Victorian Conservatories have a beautiful segmental appearance that will enhance the appearance of your property, a Victorian Conservatory provides versatility and pleasing aesthetics to enhance the home. Orangeries – The Orangery was a building frequently found in the grounds of fashionable residences from the 17th to the 19th centuries and given a classic architectural form. Orangeries are tailor made to provide a unique living space with timeless looks, designed with period features like elegant pilasters and fascias combined with state-of-the-art engineering this type of conservatory will enhance your home beautifully. Please fill in the form below and one of our consultants will make contact to discuss your individual requirements. We do not believe in using any hard-sell tactics, our aim is to inspire and narrow down exactly what you desire from the completed project. Why design a Bespoke Conservatory? Bespoke Conservatories are built to your own specifications, offering you flexibility and choice. Gardinias Bespoke Conservatories are an ideal choice if you’d like a conservatory that makes an individual statement while also meeting your practical requirements perfectly. Whether you’re looking for a particular size or shape, a certain look, or a Bespoke Conservatory that is tailor-made to your specific needs, we have the experience and expertise to meet your requirements. With our bespoke conservatories you specify the size, shape, style, materials, colour, windows, doors, roof and other design features. During the design process we work closely with you, listening carefully to what you want to achieve and suggesting solutions that will deliver just that. Gardinia’s Bespoke Conservatories have won multiple awards in the annual Ultraframe Conservatory Competitions. If you would like to take a look at what your conservatory might look like before it is built, we offer a CAD (Computer Aided Design) drawing which gives you an opportunity to view a visually enhanced image of the finished work before you even sign your order. 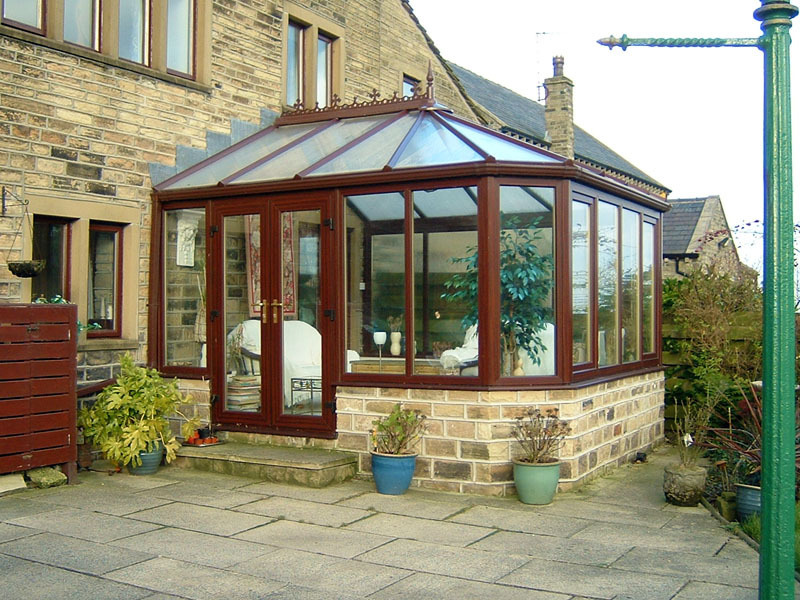 With endless choices of designs to choose from, our team of skilled conservatory fitters can install a UPVC conservatory in Huddersfield specifically designed to yours tastes. 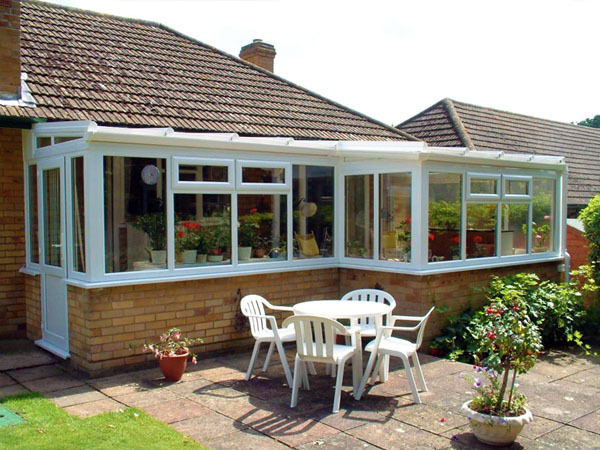 Our installation team have been with Gardinia, installing Conservatories for over 20 years. You can be confident an excellent installation will be carried out by our fitting team. 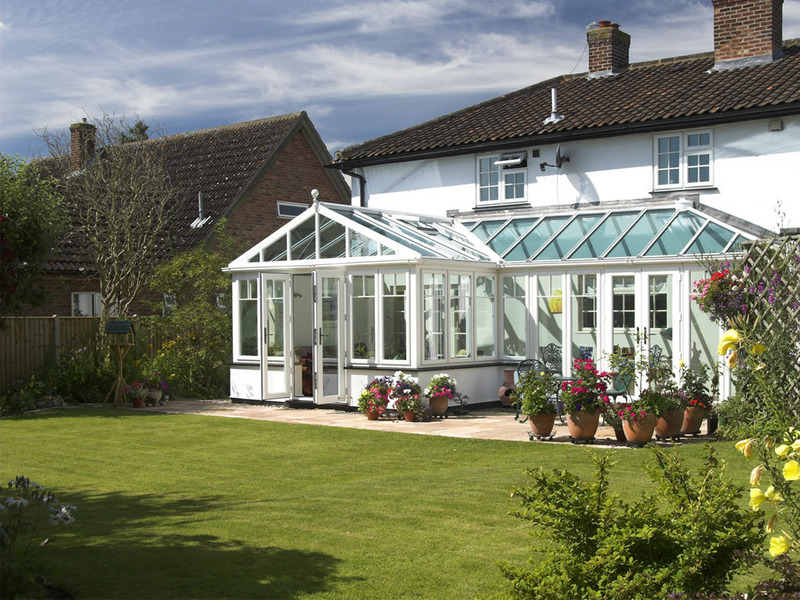 Why Choose an Edwardian Conservatory? Edwardian Conservatories offer an elegant look with strong bold lines, giving maximum living space. 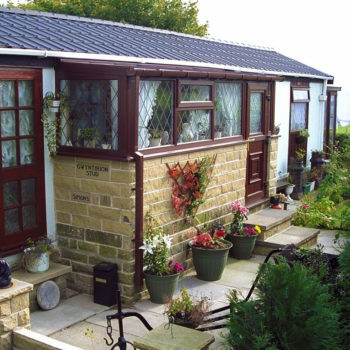 The Edwardian Conservatory is completely adaptable to suit all house styles and bungalows. Many people love the Edwardian style due to its likeness with a typical room in your home. The square fronted corners of Edwardian Conservatories give the optimum interior floor space allowing more room for your furniture. Whether you require a dining room, play room, garden room or just some additional general living space, this design carries endless opportunities. Our Edwardian conservatories are tailor-made, so you’ll finally have a space that meets your needs perfectly. With various roof pitches and dimensions, the Edwardian Conservatory roof can be changed to suit practically any property (even those with roof height restrictions) providing a classic addition to your valued home. If you would like to take a look at what your Edwardian Conservatory might look like before it is built, we offer a CAD (Computer Aided Design) drawing which gives you an opportunity to view a visually enhanced image of the finished work before you even sign your order. 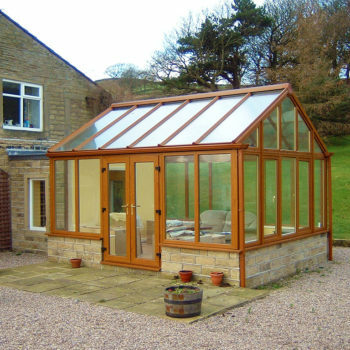 When it comes to the installation our team of highly skilled conservatory fitters will install your Edwardian Conservatory in your Huddersfield home. 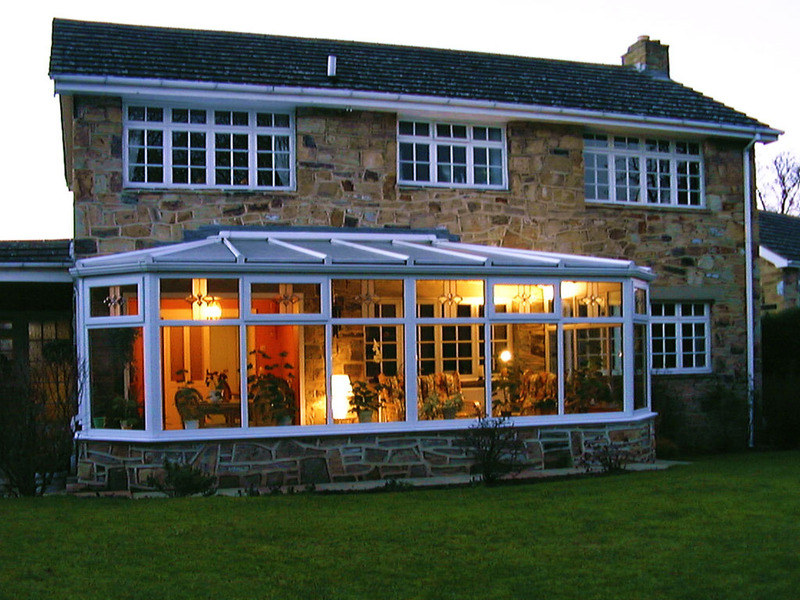 Our installation team have been with Gardinia, installing Conservatories for over 20 years. You can be confident an excellent installation will be carried out by our fitting team. 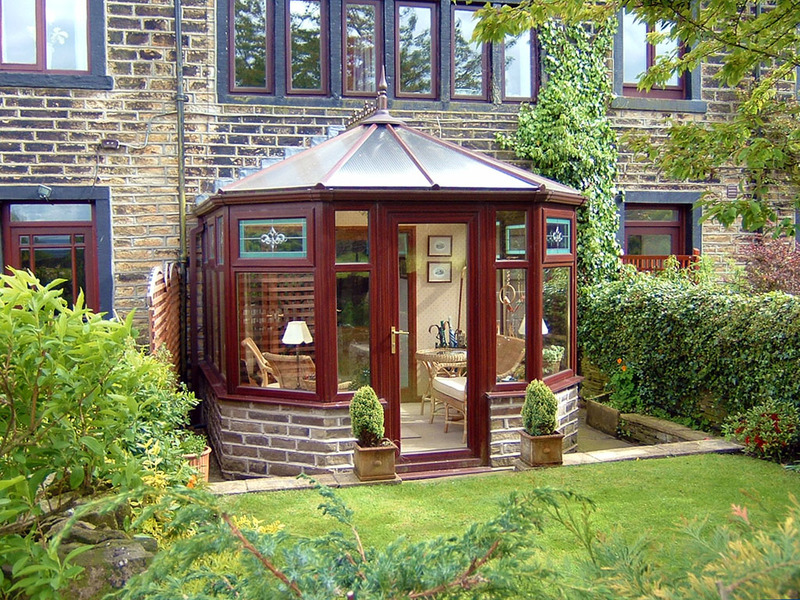 Why choose a P Shaped Conservatory? 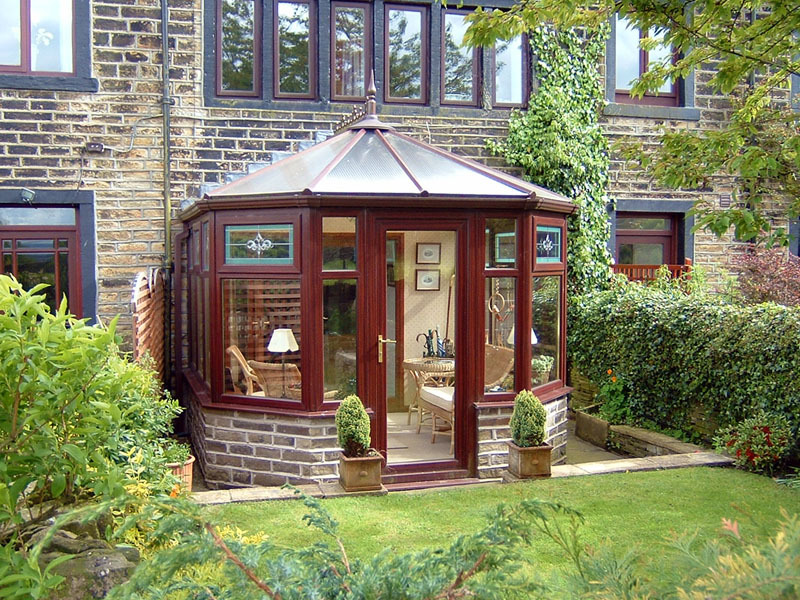 The P Shaped Conservatory is unique in its style, giving you the versatility of two additional rooms. This design of conservatory allows one section to be used as a practical working space and the other as a relaxing or breakfasting area, should you wish to use it as one large space. The P Shaped Conservatory’s soft corners provides the ability to do this by letting the eye glide seamlessly from one end to another. The P Shaped Conservatory combines a mixture of styles from Edwardian, Victorian and Lean-To Conservatories to give a completely adaptable conservatory that is not restricted in its use. As with all Gardinia conservatories this style is made to measure so the proportions of both sections can be decided by you. The dwarf wall height, frame colour, door and window opening positions are also your choice allowing greater scope for you to develop exactly the dream you have in mind. If you would like to take a look at what your P Shaped Conservatory might look like before it is built, we offer a CAD (Computer Aided Design) drawing which gives you an opportunity to view a visually enhanced image of the finished work before you even sign your order. 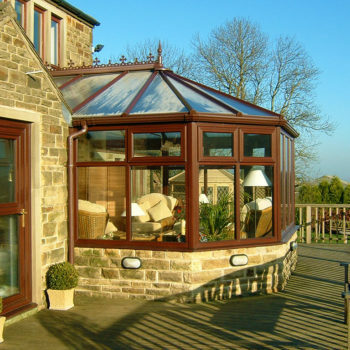 When it comes to the installation our team of highly skilled conservatory fitters will install your P Shaped Conservatory in your Huddersfield home. 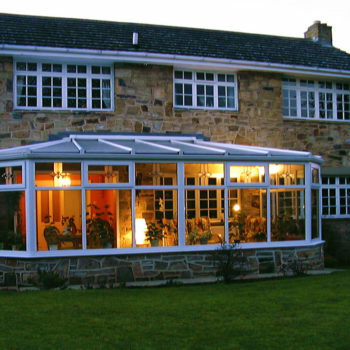 Our installation team have been with Gardinia, installing Conservatories for over 20 years. You can be confident an excellent installation will be carried out by our fitting team. Why choose a Gable Fronted Conservatory? The Gable Fronted Conservatory is a modified version of the popular Edwardian Conservatory, Gable Fronted Conservatories create a stunning visual impact both internally and externally. With the high pitch of the roof they offer a real sense of height in the internal living space. The square corners of Gable Fronted Conservatories give the optimum interior floor space allowing more room for your furniture. Whether you require a dining room, play room, garden room or just some additional general living space, this design carries endless opportunities for your home. If you would like to take a look at what your Gable Fronted Conservatory might look like before it is built, we offer a CAD (Computer Aided Design) drawing which gives you an opportunity to view a visually enhanced image of the finished work before you even sign your order. 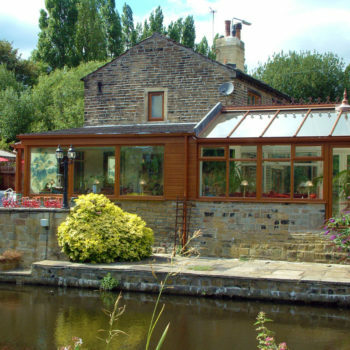 When it comes to the installation our team of highly skilled conservatory fitters will install your Gable Fronted Conservatory in your Huddersfield home. 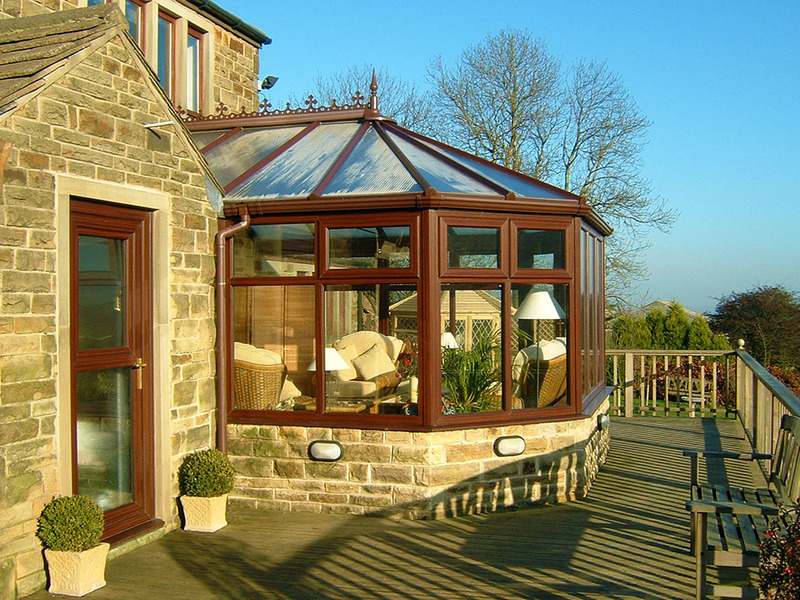 Our installation team have been with Gardinia, installing Conservatories for over 20 years. You can be confident an excellent installation will be carried out by our fitting team. Why choose a Mediterranean Conservatory? Gardinia’s Mediterranean conservatory gives maximum living space for any given area. The square fronted corners of the Mediterranean conservatory give the optimum interior floor space allowing more room for your furniture. Whether you require a dining room, playroom, garden room or just some additional general living space, this design carries endless opportunities. 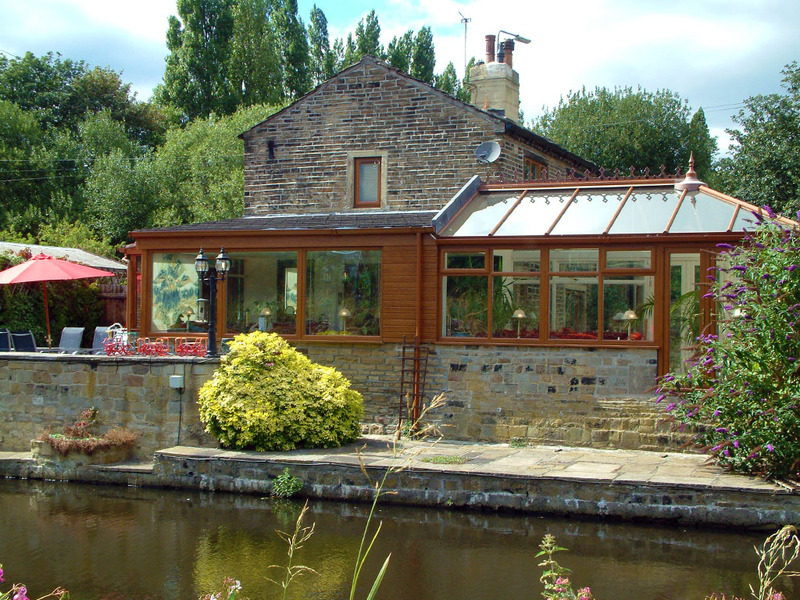 When it comes to the installation our team of highly skilled conservatory fitters will install your conservatory in your Huddersfield home. 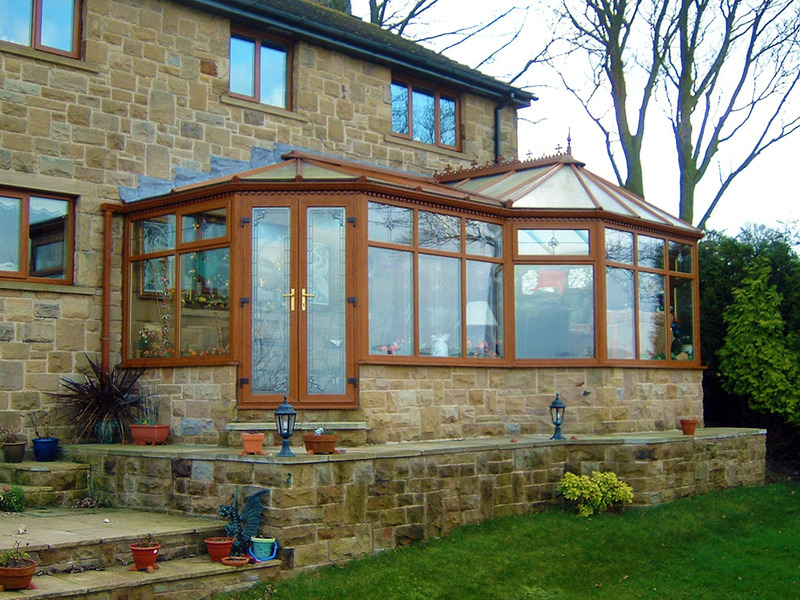 Our installation team have been with Gardinia, installing Conservatories for over 20 years. You can be confident an excellent installation will be carried out by our fitting team. 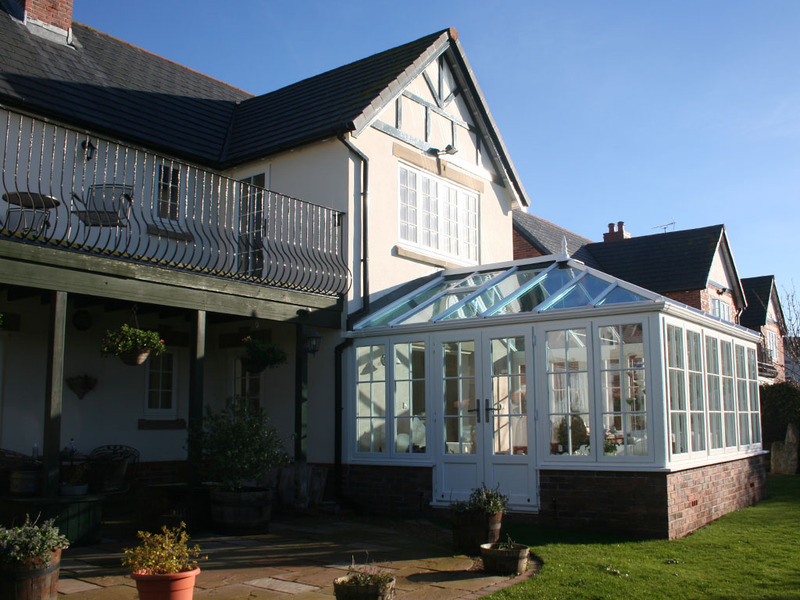 Why Choose a Victorian Conservatory? 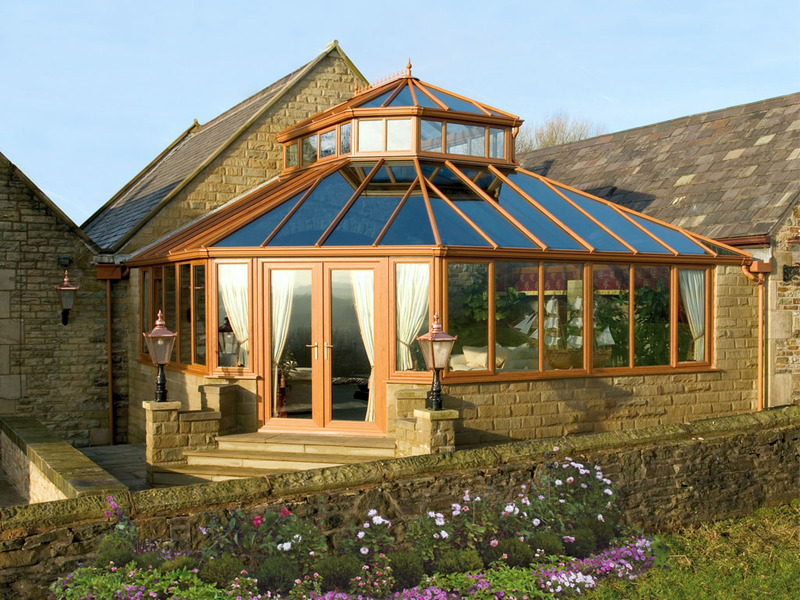 The Victorian conservatory is classic and elegant in design, providing a shaped and styled look. Whether you prefer three or five facets, equal sized or wide fronted styles, the Victorian Conservatory has a beautiful segmental appearance will enhance the appearance of your property. 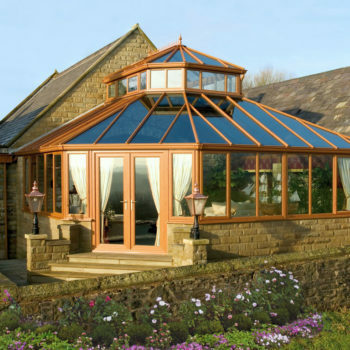 The Victorian Conservatory will give versatility and pleasing aesthetics to almost all homes. 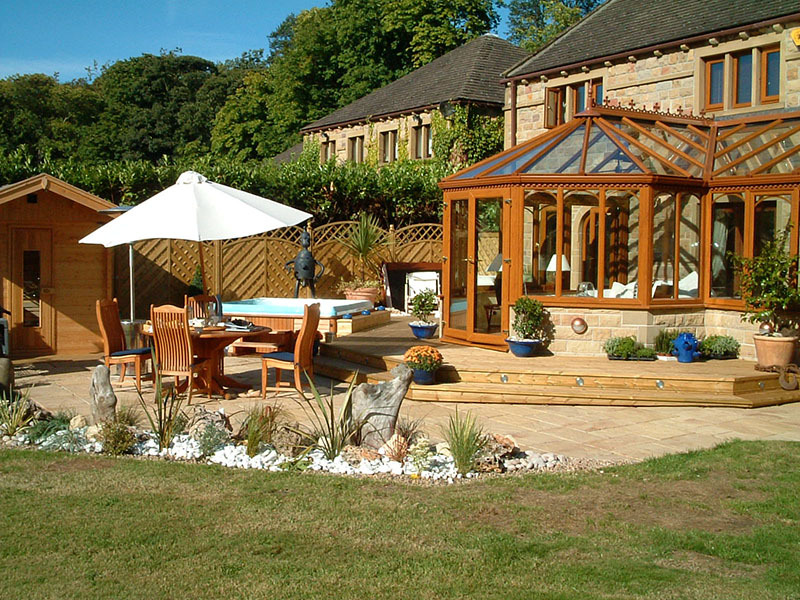 Gardinia’s Victorian Conservatories are created from bespoke designs to meet your exact requirements. You can also add more personal touches and special features to customise your own Victorian conservatory. If you would like to take a look at what your Victorian Conservatory might look like before it is built, we offer a CAD (Computer Aided Design) drawing which gives you an opportunity to view a visually enhanced image of the finished work before you even sign your order. 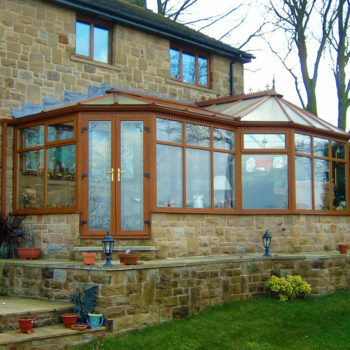 When it comes to the installation our team of highly skilled conservatory fitters will install your Victorian Conservatory in your Huddersfield home. 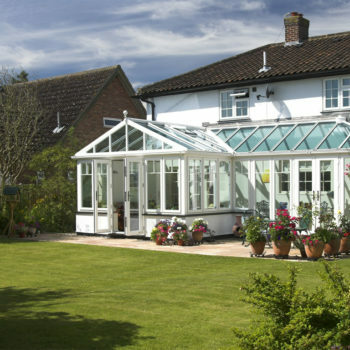 Our installation team have been with Gardinia, installing Conservatories for over 20 years. You can be confident an excellent installation will be carried out by our fitting team. Orangeries are tailor made to provide a unique living space with timeless looks, designed with period features like elegant pilasters and fascias combined with state-of-the-art engineering this type of conservatory will enhance your home beautifully. The Orangery options available are open to all from the intimate build to the large-scale development. The Capella Orangery offers a truly remarkable experience, developing the tried and tested conservatory roofing system while adding an modern orangery twist, the external fascia creates a stunning feature due to its high fronted aluminium finish, while internally the wow factor is created with an internal soffit which can include downlighters/uplighters and speaker systems. 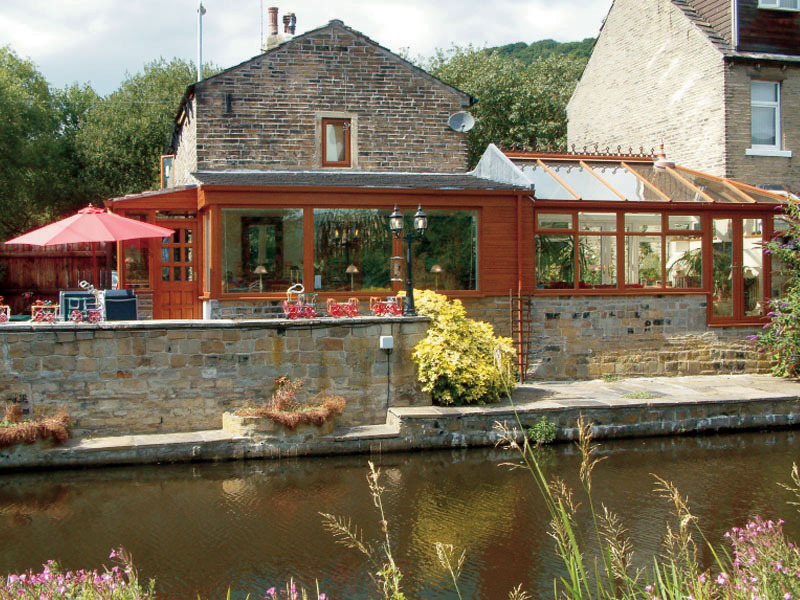 Our Integra Orangeries take a more historic replication on those original buildings that can be seen in and around Huddersfield in places like Fixby, Brighouse, Mirfield and Holmfirth. The design is with a predominately brick/stone parapet wall utilising our magnificent aluminium roofing system. The flat “warm roof” system uses high strength aluminium fully insulated and finished with decorative coping stones. For the most discerning customer we bring you our Venetian Orangery, Specifically manufactured for the ultimate living space alluring to being both grand and beautiful, Venetian orangeries are designed to be fully supported using structural aluminium legs which are bolted down the foundations, with the side options being endless from walls to windows or with our seamless aluminium bi-folding doors, using the same principal as the parapet orangery system the high freeze integrating with the guttering system leaves a finish that will be admired by all. 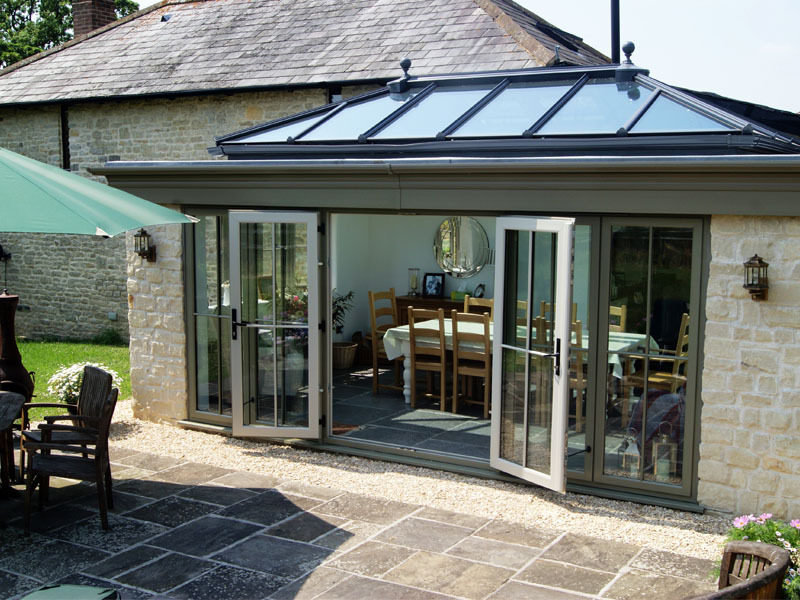 Learn more about a Gardinia Orangery on our dedicated Orangeries information page.